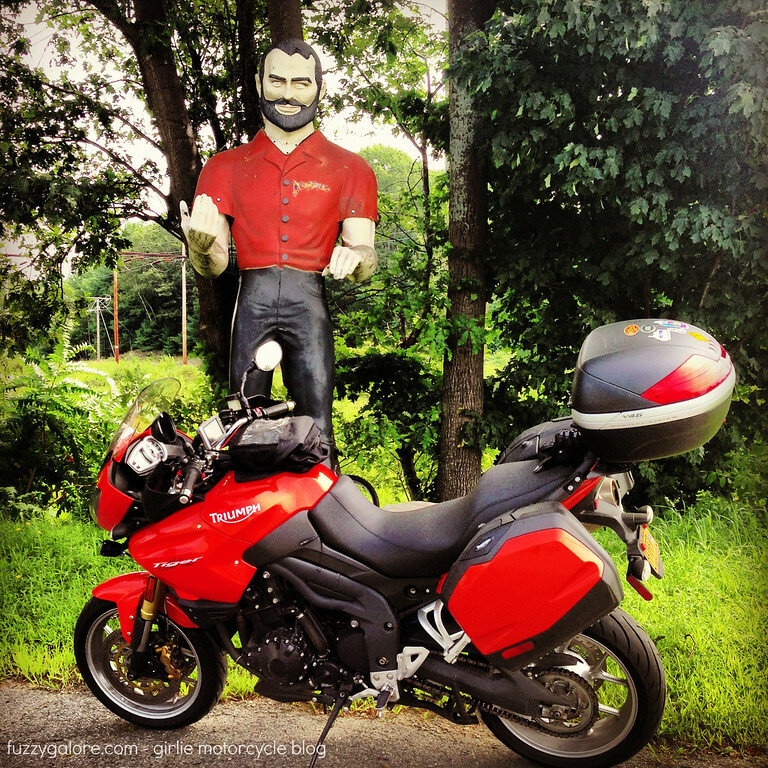 With decades of standing outside and leering under their belts, weather-beaten muffler men have been altered, they peel and need repainting and repair. And as such, each one has different characteristics that make him special. 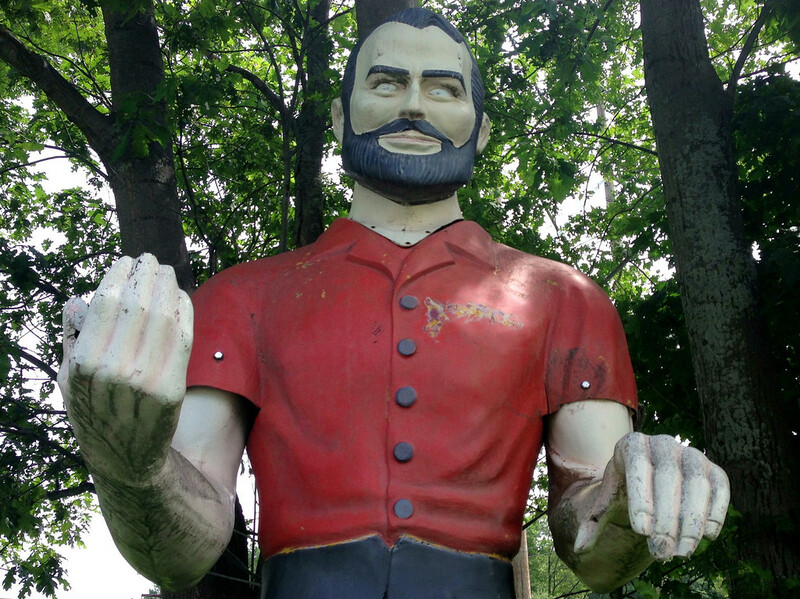 Aside from being vertically challenged, (formerly) Yvon looks like a zombie-eyed Billy Mays. His axe – lost to time? Or buried in the unsuspecting skull of a roadside drifter? His eyes… blank white canvases capable of stealing kitten souls with a mere glance. 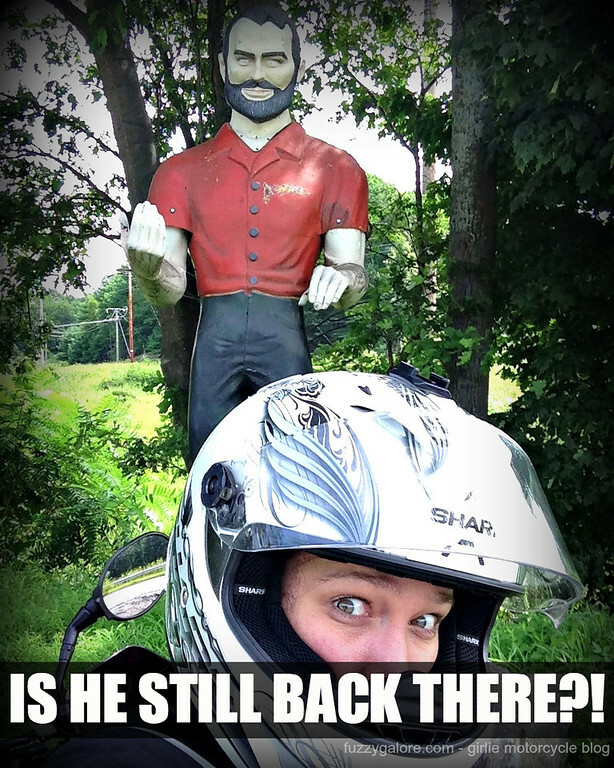 I visited the zombie muffler man of Groveland and lived to tell the tale. But hey, maybe he’s actually got candy. Zombie-like, yes, but his shirt almost matches the Tiger in that pic! !